Thank you so much for taking time to read my website, if you would like to visit the world heritage temple of Siem Reap Angkor Wat but you are in budged this tour would be special for you, See more and spent less!!! it is combine transport Car and Tuk Tuk O.K Let me begin by sharing some general information for visiting Angkor Wat and introducing my standard tour itineraries. Please note that all prices are expressed in dollars (USD). 1. Angkor entrace fee, $37 for a one day pass, $62 for two and three day pass and $72 for a one week pass. (Bellow 12 years old is fee of charge). 2. I can speak English with you . I'm happy to explain many things while we're driving. However, I am not a licensed local tour guide and therefore cannot accompany you inside the temple. At your discretion, you may explore the temple with or without a licensed local tour guide. Please note that for all tours, I stock cold beverages in my car for your enjoyment. 3. The rate to hire an English-speaking licensed local tour guide is $30 per day and I'm happy to arrange for a guide if you want one. Day 1. in the morning at 8.00 am. we are going to buy ticket at check point and than we go to see like. South gate of angkor thom city.Bayon.Baphuon.Terrace of Elephants.Terrace of leeper king.Royal pace.Phimeanakas.Tep pranom.Preah palilay.Preah pithu group. Let's lunch time at local Restaurant.on the afternoon we coming back to visit angkor wat and sunset at phnom Bakheng. Day 2.In the morning at 7.30 am. we can visitting grand circle like. Preah khan.Neak Pean.Tasom.East mebon.Pre rup.Srah srang.Banteay kdei.Let's lunch time at local Restaurant.In the afternoon we go on to see small circle like. Day 4.In the morning at 7.00am. we can visit remote temple like.Beng mealea.Koh Ker if we have time we can see kompong phuk (flooded forest) or ton le sap lake. Day 5.in the morning at 6.00 am. we going to visit one attraction temple it's name Preah vihear temple.it is 220Km from siem reap to there.we are spending there 2 or 3hr.in the afternoon we come bak to hotel. Day 6.in the morning at 7.00am. 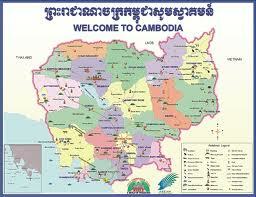 we can going to visit sambo prei kok.it's 168 from siem reap to there.we can spend there 1 or 2hr. Cold beverages supplied with the car. Please choose one Itinerary or let me know if you are interested in working with me or if I can offer any additional information. If you book a tour with me, I'm happy to pick you up (free of charge) and return you to your hotel. Please specify the best time and location for pick up and provide flight details if applicable.